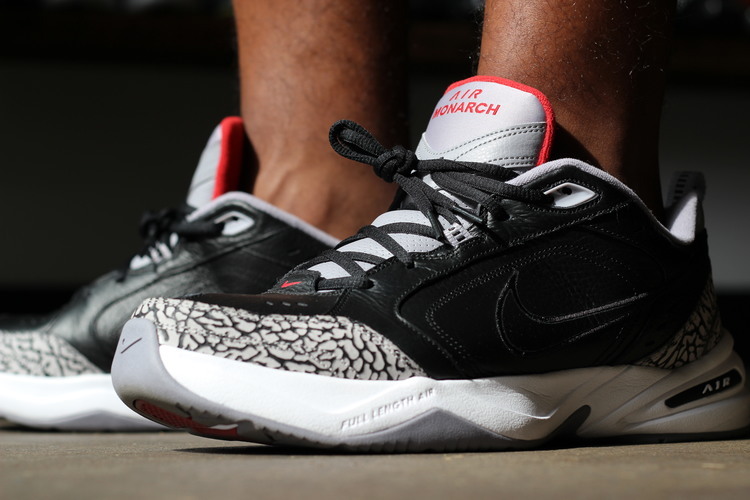 Nike Air Monarch IV "Black Cement"
Your dads favorite shoe just became official. 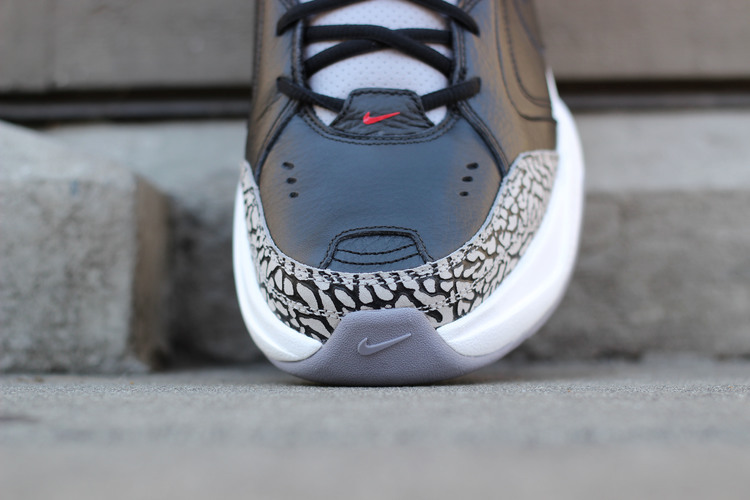 One of the highest selling trainers and probably the most unpopular in the youth’s eyes, has an official Black Cement 3 colorway. 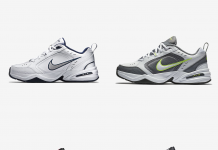 The Air Monarch IV is highly classified as underrated but did you know that this is Nike’s most successful trainer ever? Thank your pops and all the dads for this. The classic Monarch IV is usually seen in neutral colors but today, we get a look at a sample owned by former Nike employee Ian Williams. 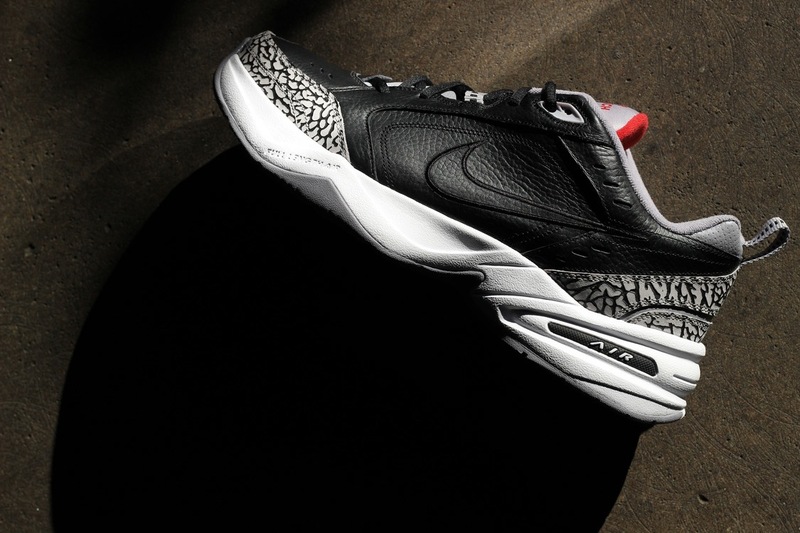 The Monarch IV features a Black Cement 3 take with Black leathers, white, red and even elephant print on the toe box. Would you scoop up a pair? Let us know in the comments section.